Deep Learning: How Will It Change Healthcare? It’s become clear that leveraging AI and Deep Learning tech is the key to better patient care, while at the same time reducing costs and improving efficiencies — our primary missions in the healthcare field. Deep learning, also known as hierarchical learning or deep structured learning, is a type of machine learning that uses a layered algorithmic architecture to analyze data. In deep learning models, data is filtered through a cascade of multiple layers, with each successive layer using the output from the previous one to inform its results. Deep learning models can become more and more accurate as they process more data, essentially learning from previous results to refine their ability to make correlations and connections. Deep learning is loosely based on the way biological neurons connect with one another to process information in the brains of animals. Similar to the way electrical signals travel across the cells of living creates, each subsequent layer of nodes is activated when it receives stimuli from its neighboring neurons. 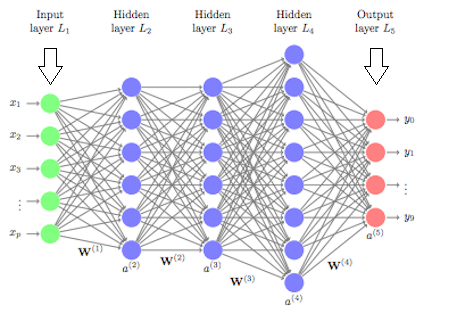 In artificial neural networks (ANNs), the basis for deep learning models, each layer may be assigned a specific portion of a transformation task, and data might traverse the layers multiple times to refine and optimize the ultimate output. These “hidden” layers serve to perform the mathematical translation tasks that turn raw input into meaningful output. The article goes on to note that the multi-layered strategy allows deep learning models to complete classification tasks such as identifying subtle abnormalities in medical images, clustering patients with similar characteristics into risk-based cohorts, and highlight relationships between symptoms and outcomes within vast quantities of unstructured data. Going beyond already-impressive machine learning, deep learning has the added super-power of being able to make decisions with significantly less involvement from human trainers. Deep Learning applications — and their advantages — are just around the corner. That’s why OrboGraph has fully embraced AI and Deep Learning, offering Platform Modernization solutions to deliver healthcare electronification. Don’t be left behind! This blog contains forward-looking statements. For more information, click here.